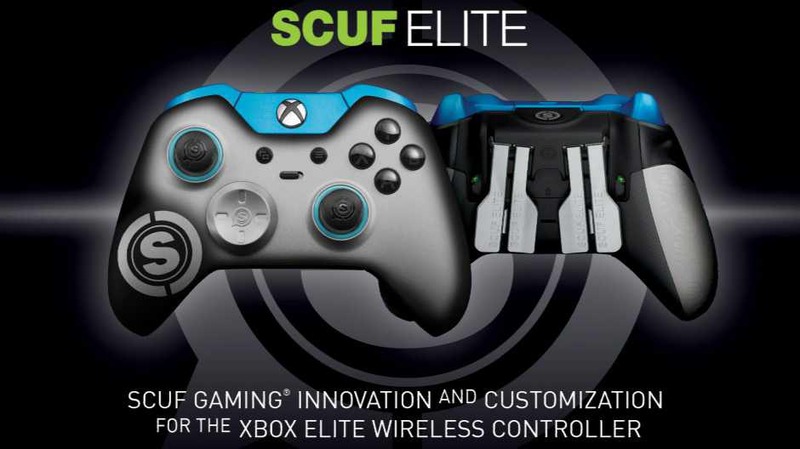 Microsoft has announced the SCUF Elite Customization Program in collaboration with SCUF. According to Microsoft, fans can build their ideal Xbox Elite Wireless Controller and choose from a selection of unique designs and color treatments, including faceplates, buttons, trim and SCUF accessories. Pricing may vary based on the customization options selected. The Elite Precision Thumbsticks and Pro Grip Handle Kit will be available soon. The Thumbsticks and Pro Grip Handle Kit are priced at $29.95, and which will be available in five colors: black, white, red, blue and green. It features six interchangeable thumbsticks with SCUF logo. The interchangeable thumbsticks feature three domed sticks in regular, medium and long sizes, along with three concave thumbsticks in regular, medium, and long sizes. Fans can easily swap between the existing rubberized diamond grips on their Xbox Elite Wireless Controller and SCUF’s pro grip panels with the tool included with the kit. You can purchase two accessory packs as add-ons for your Elite Wireless Controller. But if you want the new custom trim and button colors, you’ll have to buy a whole new controller and have it built from scratch with the full customizations of your choice.